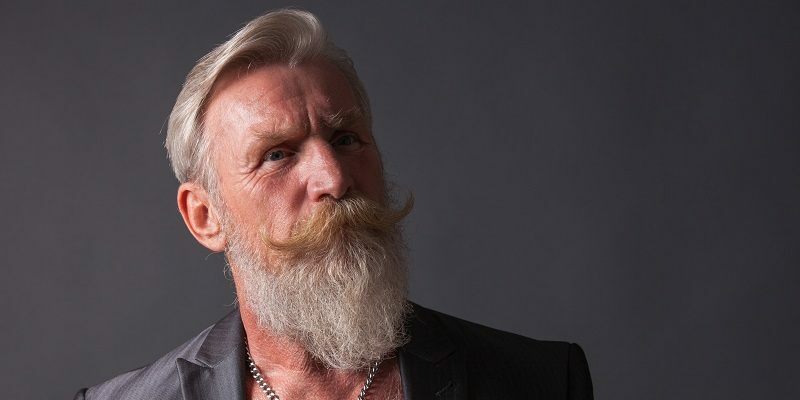 The handlebar mustache is one of the classiest and most sophisticated facial hair styles of all time – provided, of course, you’ve got the right temperament and/or were born in the right time. While we may all like to throw on some mustache wax and tweak the sides of our face to perfection, there are some singular men who, to put it simply, have worn it best. Some of the most famous handlebar mustaches of all time have been enjoyed by individuals of high and ill repute, those who have graced the halls of government and the wrestling ring, and have mastered the Old West and Wall Street alike. If you’re thinking about a handlebar mustache, think of the other famous handlebar mustaches you’d be keeping company with. Here are 11 of the most prominent examples – take a look! Roland (or “Rollie”) Fingers played Major League baseball for 18 years, between his tenures with the Oakland A’s, San Diego Padres and Milwaukee Bruisers. He’s got status in the National Baseball Hall of Fame, and not one but two of his teams have retired his number (something not many people can claim). However, what most people may know him best for is his famous handlebar mustache – if we were going by strength of mustache alone, not just the man and his accomplishments, Fingers would be far closer to the top. His handlebar mustache was always impeccably waxed, sitting atop his face like a totemic symbol of his baseball prowess. Originally grown to receive a bonus of $300 from the owner of the A’s after an unofficial beard-growing contest grew among the Oakland players, Fingers has rocked his signature curls throughout the majority of his baseball career and beyond. Fingers’ mustache is just about as iconic as his prowess on the plate, forever linking the handlebar mustache to baseball as a symbolic gesture of its status as America’s pastime. While his death by assassination in Sarajevo in 1914 is one of the great tragedies in 20th century history, particularly given its role in leading to the horrors of the First World War, let it never be said that ol’ Franz didn’t go out in style. Rocking a bushy, boisterous handlebar, Archduke Ferdinand’s unique upper-lip companion lend him a regal stature that went swimmingly with his ornate military gear. The handlebar was a common look in military and government officials in Eastern Europe, and at least Franz went out looking like a boss. When it comes to early American industrialism, few figures are as notable as John Pierpoint (“JP” to his friends and Chase account holders) Morgan – the titan of corporate finance whose banking strategies and investments helped build America during the Industrial Revolution. Taking his substantial largesse and investing it in steel and iron companies to create the United States Steel Corporation was only one of his many feats; he helped to stop the Panic of 1907 by dumping in his own money into the system to save it, and telling others to do the same. Remember that the next time you get a bill from Chase telling you your Perkins loan is due! Just as JP Morgan commanded the American economy, so too did he wield the most impressive facial hair in Big Business. Befitting his walrus-like figure, his relatively bushy and unkempt handlebar mustache shot straight toward the ground like his investment in the London subways; it lent him a severity that most certainly served him well in his business interests. All the same, here’s to you, JP, and the money (and mustache) that built a nation. What is it with German aristocrats and handlebar mustaches? Something about it just sparks the imagination, I suppose; still, if you had to pick something to go with those innately fancy medals and shoulder pads, I guess you could do worse. One of the most famous handlebar mustaches to come from the land of sauerkraut and Rammstein was that of Kaiser Wilhelm II, the last German emperor and King of Prussia. Wilhelm was never one for good decisions, to be fair – I mean, why do you think he was the last King of Prussia? Among his terrible decisions was to dismiss the Chancellor not long after his crowning in 1890, his support for Austria-Hungary in 1914 (right up to World War I), and giving terrible interview after terrible interview to the press. Imagine if Joaquin Phoenix wore an Iron Cross, and you’d have something similar to how Wilhelm II handled the press. Faring slightly better, though, was his beloved handlebar; this baby meant business, with two sharp points sticking straight up towards his cheekbones with nary a curve in sight. Everything in its place, as they say, and so Wilhelm’s perfunctory mustache perfectly matched his own taciturn manner. If you’re looking for a famous handlebar mustache wearer who’s a little more on the sensitive side, you might do well to consider Thomas Hardy, the early 20th century English poet and novelist. His Romantic poetry was extremely critical of the Victorian society in which he lived, showing the decline of rural living in a Dickensian, George Eliot-inspired prose that made him famous. Some of his best works include Tess of the d’Urbervilles, which showed the ways in which English aristocracy figuratively (and literally) abused the weak poor, and 1873’s A Pair of Blue Eyes, which eventually brought about the term ‘cliffhanger’ (when one of the characters literally hangs off a cliff in between chapters). Speaking of cliffhangers, you can almost see some poor rural Victorians hanging off the arched sides of Hardy’s own handlebar. His ‘stache is sleek and sophisticated, an intelligent mustache for a thoughtful man. If you’re looking for a classic writer with loads of talent behind the pen and above the lip, look no further. Saddle up, cowboy – we’re finally getting to that rough-and-tumble home of the handlebar, the Old West! One of the best handlebars of them all belonged to “Buffalo” Bill Cody, one of the most visible and prominent showmen in the Wild West. While he was never an outlaw or a lawman, he fought in the Civil War, drove wagon trains, prospected for gold, and hunted everything this side of the Mojave Desert. He was also an awesome dude even back in his day, arguing for Native American rights and the rights for women to work equal jobs and receive equal pay. With his cowboy stylings and signature facial hair (a handlebar combined with a small chin-beard), Buffalo Bill’s mannerisms and look helped to define the cowboy as the iconic symbol of the Old West. If you’ve been to a rodeo lately, or seen someone ride a bucking bronco or lasso a horse, you can thank Buffalo Bill for these enduring pieces of entertainment. Now, to move on to someone decidedly less awesome, but no less influential or important – Joseph Stalin, essentially the architect of the Soviet Union. While we all know him as that guy we get confused with Lenin or Kruschev sometimes because we didn’t pay attention in History class, Stalin himself was an incredibly influential leader in Soviet Russia from the 1920s to the mid-1950s, when he died. Coming to power in 1917 with the Russian Revolution, he consolidated power in the 1920s after Lenin died, and soon turned the USSR into an industrial force to be reckoned with by centralizing the economy. Some decidedly less kosher activities included the Great Purge, in which a lot of Stalin’s enemies died, and his status as the leader of Allied Russia during World War II is colored by the Cold War that followed. That being said, it’s hard to argue with the power of that handlebar, which matched his equally thick eyebrows to form a frown unto itself on top of the dictator’s stern face. Okay, let’s get away from the horrifying, tyrannical historical figures for a second and immerse ourselves in the utter glory that is Hulkamania! Arguably one of the most recent figures to truly make the handlebar still work for him, “Hulk” Hogan was one of the figures that brought professional wrestling to prominent in the mid-80s, bringing his bug-eyed ferocity and incredible shirt-ripping stage presence to the TV sets of millions of kids. He was even able to channel his popularity into a budding film career, with such Academy Award-winning films as Suburban Commando, Thunder in Paradise and Mr. Nanny. Even thinking about his Oscar acceptance speech back in ’94 for Best Actor still brings a tear to my eye (especially the part where he tore his tuxedo jacket in half right before stomping off stage). Obviously, a central component to Hulk’s signature look was his platinum-blonde handlebar, which framed his chin like a totem of utmost manliness. It’s a look I won’t soon forget, brotherrrrr. Okay, okay, okay, we cheated on this one – we know that Mr. Monopoly isn’t real. Still, given that Monopoly is probably one of the most popular video games of all time, I’d like to think he’s more real to me than Joseph “Kill My Political Enemies” Stalin, don’t you think? Like a little cartoon JP Morgan, Mr. Monopoly (or Rich Uncle Penny-bags as he is otherwise known) carried his top hat and cane around as he mercilessly strained friendships, destroyed families and helped you win beauty contests in game after game of the famed Parker Brothers board game for which he is famous. His big, sweeping white handlebar fits handsomely with his red bow tie and his little tin car, in a look that will never change over time (even though we’ve already moved on to playing Monopoly with credit cards). Some of the most famous handlebar mustaches must certainly go to world leaders, and the most strapping facial hair of all American presidents has to belong to William Howard Taft, our fattest (but flyest) Commander in Chief. Leading the free world for one term in the early 1900s, he got a lot done in four short years – he reformed civil services, bolstered the Interstate Commerce Commission, made the United States Postal Service work even more efficiently, and so on. His term even saw the passage of the Sixteenth Amendment, which saw good news and bad news for the American people (good news: you get better roads! Bad news: you’re paying for it with income tax). Even throughout these accomplishments, his huge handlebar suited his stocky frame quite well, swooping around his wide cheeks like the chain of a fob watch through a vest. Our most famous handlebar mustache of all time, though, belongs to another bastion of the Old West – Sheriff Wyatt Earp himself! One of the most mysterious and tough figures in the Wild West, he’s most well known for the infamous gunfight at the OK Corral – when Earp and his sidekick Doc Holliday (sidenote: also had an awesome handlebar) took down three of the most terrifying outlaws in Tombstone, Arizona. Even moreso than his tremendous pistol skills, Earp’s all-encompassing, snowplow-like handlebar would be the envy of any self-respecting cowpoke. Stretching far past his mouth and down into his chin, his facial stylings simply scream “Old West lawman,” and helped show men on both sides of the law that he was no one to mess with. Did we leave anyone out of the race? Did someone deserve to be higher or lower? Who ranks in your personal favorite handlebar mustaches throughout history? Let us know!